and ending up with bone straight hair was a big risk with this relaxer. I followed the same steps as with my my last touch-up but with different products. Applying the relaxer and smoothing using my hands took around 12 minutes, I then proceeded to smooth my edges using the back of a comb, just like I did last touch up, only to realise how much of a mistake that was; fear was rearing its ugly head! My hair was tingling a little so I immediately headed to the bath room to wash out the relaxer. I spent at least 20 minutes washing out the relaxer and then applied the reconstructor that came with the relaxer for 5 minutes. Next I used the neutralizing shampoo that came with the kit and it took me seven tries before I could stop seeing pink! I was seriously frustrated because this has never happened before, thank god I had two bottles of that shampoo, each time I shampooed it was left on for at least 5 minutes. 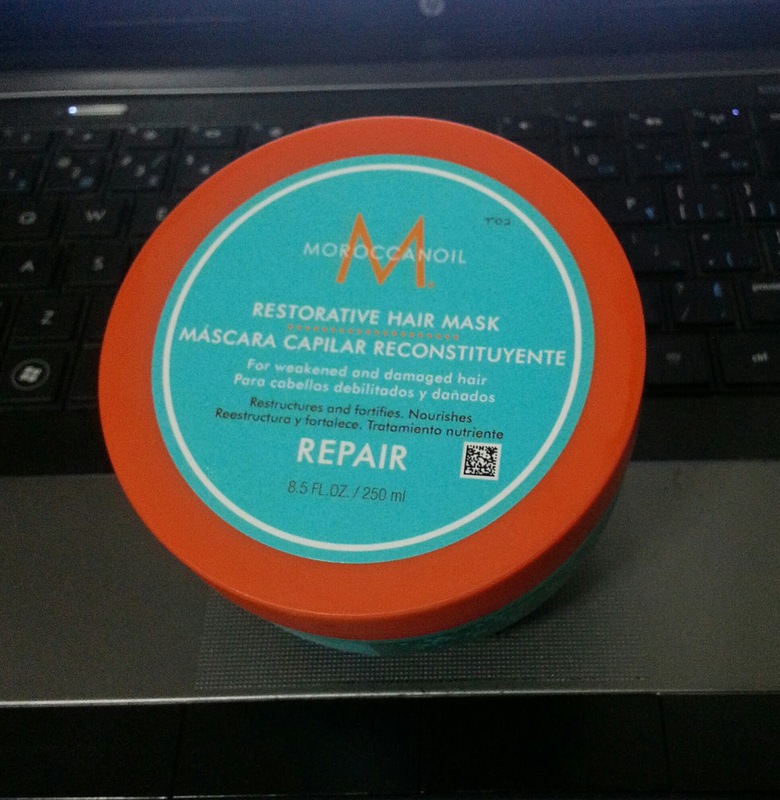 To deep condition I used Moroccan oil Restorative Hair Mask with my heat cap for 30 minutes. I was trying to stay positive but by this time I was tired, frustrated and had enough time to think about all the struggles I was going to have because of my hair being too straight so a roller set was out the door. I applied the leave-in that came with the kit and immediately regretted it! I should have known better because I hated it years ago, apparently my feelings have not changed. I am not the kind to throw things away just like that but it had to go! I detangled after applying some KeraPRO Restorative Anti-Frizz Elixir and air dried my hair. I am disappointed with how this touch up went; my hairline is bone straight even though it got relaxer last. Funny how just two or three years ago that would not have bothered me one bit but it makes no sense crying over spilled milk. The rest of my hair also came out too straight for my liking but I can live with it for now. I really want to cut my hair but I promised my daughter that I would try to hold out until the end of the year, honestly, this is one promise I don’t mind breaking. I want to get a professional to do it but I have to find someone I am comfortable with. Any of you ladies ever had a similar experience with your hair? What did you do about it? 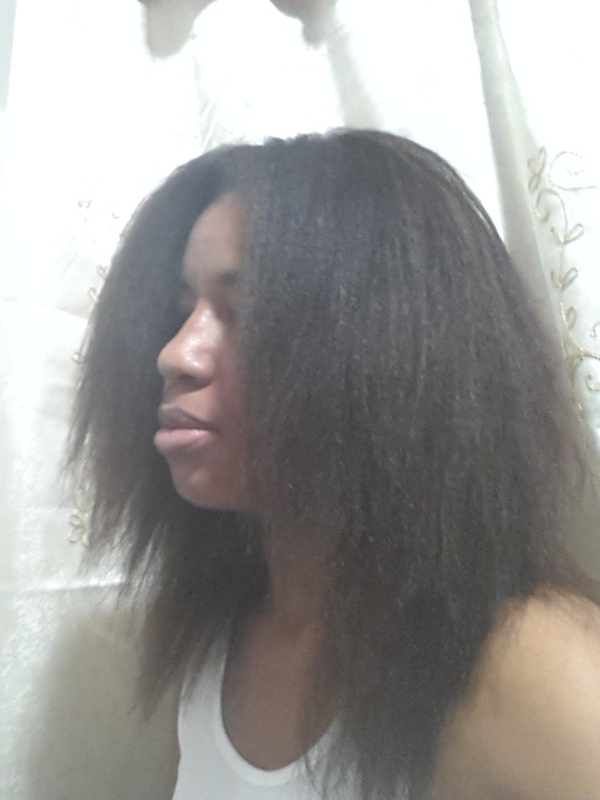 I just relaxed my hair last weekend after a 12 week stretch **shame on me for not posting on it :(**. I used the same relaxer I've been using and pretty much the same process, approximately same timing, but I think I got my hair a bit too straight as well. I was hoping to see some reversion after my next wash which was yesterday, but I can't really tell. I usually see a bit more texture after my first wash after my relaxer, but this time it still feels mostly straight at my roots. 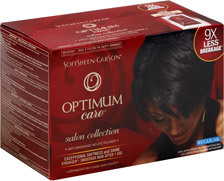 I'm considering doing a mild relaxer at my next touch up and maybe alternating between mild and regular. I don't know. After 2 washes my hairline is still bone straight! All we can do now is continue to take care of our hair, hope for the best during this stretch and pray that nothing drastic happens after our next touch-up. Congrats on your stretch! Your edges looks straight but I still see texture. Try using JBCO on your edges and avoid harsh brushes and you should be fine. The thickness of your hair is awesome! Thanks Tomes, I have never been able to stick to using my JBCO but I plan on giving it a go again. congrats on your 18 weeks relaxer stretch ! 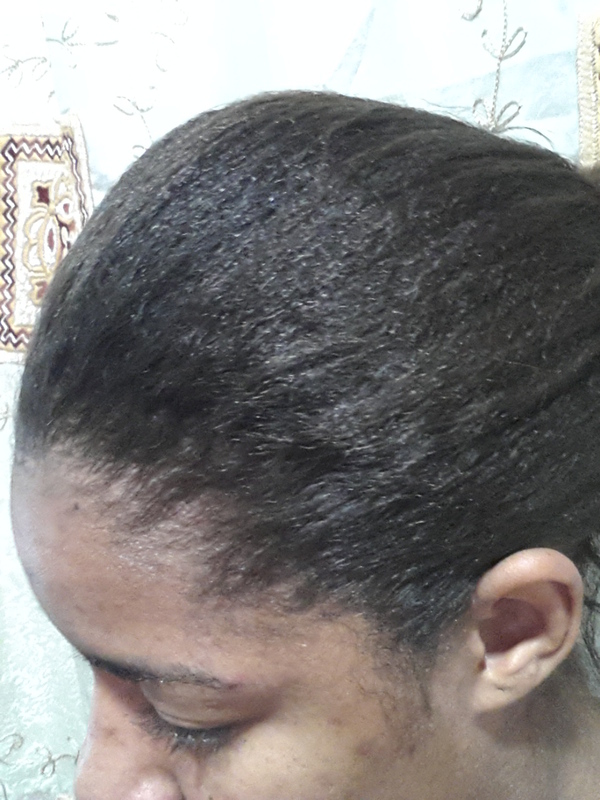 like tomes said, I would recommend castor oil for your edges as well. Your hair is beautiful! Sorry your relaxer didn't go the way you planned it buut your hair is still beautiful. Aww your hair looks great, am currently using castor oil and peppermint oil and I think my hair line getting its texture. I think your results look great though and your thickness is out of this world!! I know how you feel. I'm pretty sure I over processed parts of my head during my last relaxer, but I was like, "At least it didn't cost me $80." LOL. But your hair looks fine; I can still see a small wave at the front. Plus with air drying you can mimic thickness/texture. Thanks for stopping by Nerline!